Is quality address data still relevant? Most organisations are actively working to shift their communications from paper to electronic formats. After all, we can save around $1 per communication if we send an email rather than a traditional letter. So, given this shift, is there still value in quality address data? I would suggest that customer-centric organisations should find value in address data that goes beyond the ability to deliver mail. Using spatial analytics tools we can plot our customer on maps overlaid with access to services, income demographics or risk profiles, allowing us to identify specific opportunities for improving access to our services, or targeting specific consumers with special offers. An understanding of our client’s location can be a critical tool for planning. Where should we make investments in infrastructure, or what is our most effective route for deliveries? Of course, if client address data is incomplete, poorly structured, or contains errors, it can be impossible to map the address. Quality address data is a prerequisite for geocoding. Many organisations struggle with the elusive “single view” of the customer. Address data provides us with numerous data points – a house number, complex name, suburb and many more – that can be used to identify relationships. A consolidated view of the customer can be used to improve service delivery, minimise risk or comply with legislation. Quality address data allows us to go beyond matching individuals. Family or business relationships (households) can be identified by grouping multiple individuals that share an address. Households gives us further insight into our customer. What is the total share of wallet of the entire family? What is our total exposure to this household? 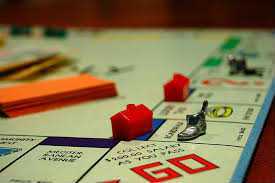 The old board game, Monopoly, is based on the value of a good address. For the customer-centric business, quality address data provides valuable context for real insight. Are you ignoring the value that you can get from your address data? Interesting read. In addition to address quality for business, there is actually a lot of great work being done with record linkage tools for the future of education with P20 and SLDS initiatives. We know in our business good record linkage happens behind the scenes. No personal information is ever shared, even the smallest of data sets aren’t shared. Several departments have to approve each and every data request individually.